As this blog has continued to become more popular, I am starting to get some questions from the contact form. I really enjoy hearing from others who are excited about this industry so keep the emails coming! As I was writing response emails last week, I thought about how there may be many other people out there with the same question. As I continue to learn more about p2p lending, I need to remember that others may still be trying to learn. I too was in the same situation when I first got started. It’s also nice to get a different perspective on things. 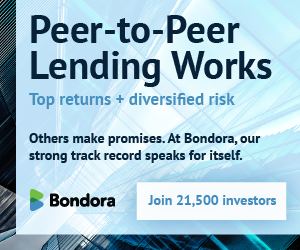 The Peer & Social Lending Mailbox is just a trial for now, but we will see how things go. Personally, I’d love for this to turn into a regular occurrence. The plan is to share emails and my responses that I think could help others. If I can’t answer them, I might try to reach out to someone else for comment. I’m also trying to figure out the best way to help new readers find content that is valuable to them as they educate themselves on peer to peer lending so keep an eye out for some changes. Keep in mind that none of the information I provide is investment advice and nothing on this blog should be considered as such. Check out our first email from James below! Could you please invite me to lending robot? Hi James, unfortunately I was never given any invites. If you signup through their website I’ve heard that the waiting period is likely only a few days. If it takes longer than that, you can reach out to them using the contact info on their site to get more info on how long it will take. I did sign up and hope to hear from them soon. Do you have any idea of what their fees are? I’ve developed my own models but am logging on at peak times to run them by hand. James, they charge .69% of the amount invested (successfully issued notes). If you are looking for a free option – check out BlueVestment. There is a lot of information on BlueVestment on the blog if you dig into previous posts. I also did a video on the tool in the ‘video’ tab. However, after talking with Lending Club, I decided not to give my password out to a third party. I also decided not to use Prime, their automated investment program. Prime would use my carefully made filters, but I found out that accounts like mine that are already mostly invested will not have priority. I’m going for the top 1% or so of loans so I need priority. . . so I’m still grabbing loans by hand. What I do use is the BlueVestment free tool to work on optimizing my filters. I want to thank James for emailing his question and allowing me to post it on the blog. If you have a question, feel free to reach out to me and maybe you will be featured on the blog! Feel free to discuss any of the topics covered in the comments.